biotope: Pushing the Boundaries RELOADED - talking at the Rutland Birdfair 2013! In January and February 2013 me and Martin Garner went on a tour around UK, giving talks at 10 bird clubs in 14 days. What a road trip! In our different ways we both hoped to promote birding and talk about some projects that proved that birding is quite possibly the coolest enterprise ever. In all modesty. We were both amazed by all the great people we met on the road. In day time we birded nature reserves and other hotspots with old and new friends, in the evenings we where met by welcoming people at the bird clubs. I think we must have met something close to a 1000 birders on our tour! Since my early years as a young birder, in the 1990s, I have basically been raised on British birding litterature. One of my favourite books was the ´Rare Birds´ guide, illustrated by Ian Lewington. On the Pushing the Boundaries Tour I got the chance to see a lot of cool places, but the people we met is what really stands out! And that Brown-bellied Dipper I had to chase unexpectedly hard to find, and of course that 111-species-in-day bird race in Norfolk. Great birding, great people! 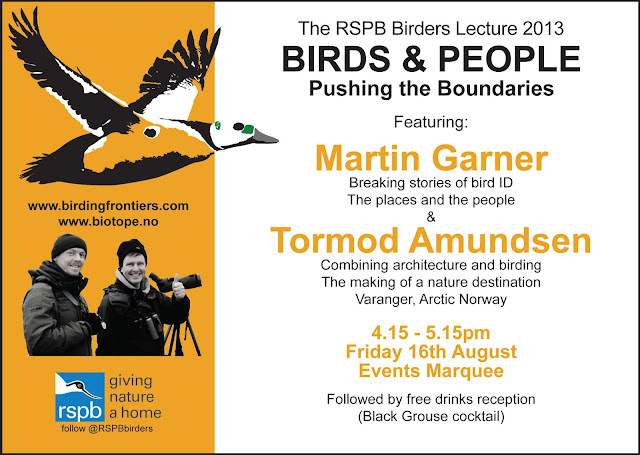 Now the RSPB (The Royal Society for the Protection of Birds) have asked me and Martin to give our Pushing the Boundaries Talks on the Rutland Birdfair, at the RSPB Birders Lecture. Friday evening, first day of Birdfair. In the Events marquee. 550 seats. That is a pretty big wow! Now we hope to fill the marquee with birders, and we promise to upgrade and fine tune our talks with even better birder niceness for this event! From Rutland Birdfair 2012: an amazing event celebrating birds and nature. How cool it is to see so many people enjoying it. Its like the birding world migrated to the same little hotspot, for information, for inspiration and to connect. Close to 25 000 bird and nature enthusiasts visit Rutland Birdfair! Me and Martin on tour in february 2013. Birding and bird clubbing. Check out Martins Pushing the Boundaries Reloaded intro. Pushing the Boundaries Talk: So what is it about?! 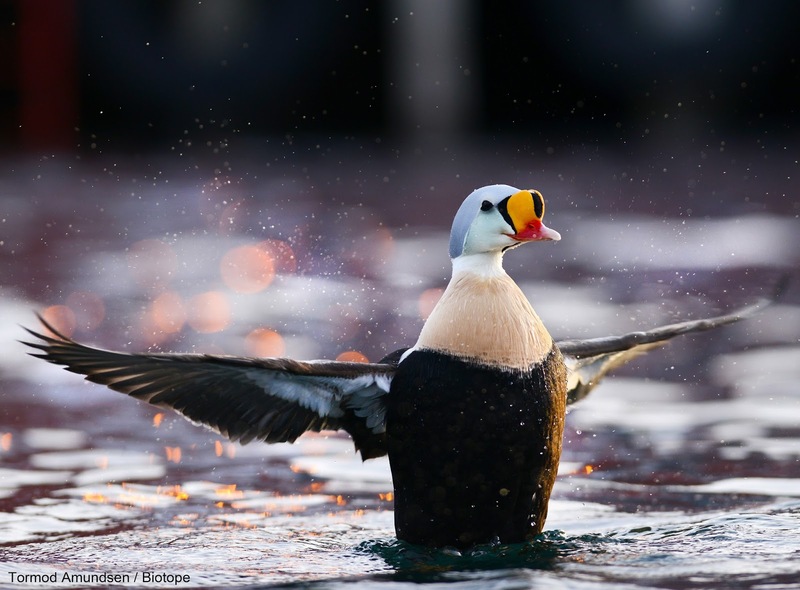 Some of the coolest birds on the planet actually. As it is for both Martin and me, birds and birding is a source of endless inspiration! For me birding has become a full time enterprise. With a twist. For four years I have now run what I think is the only bird focused architectural practise in the world. I have not heard of any other architects working full time with bird projects yet (but I hope this will improve). My Pushing the Boundaries Talk is about how me and my wife, against much "good" advice moved north to the fishing town Vardø in arctic Norway, to set up an architectural practise that worked with pro bird and nature proejcts only. Varanger is a well known birding destination and for the past few years we have made it even more known, both internationally and locally. 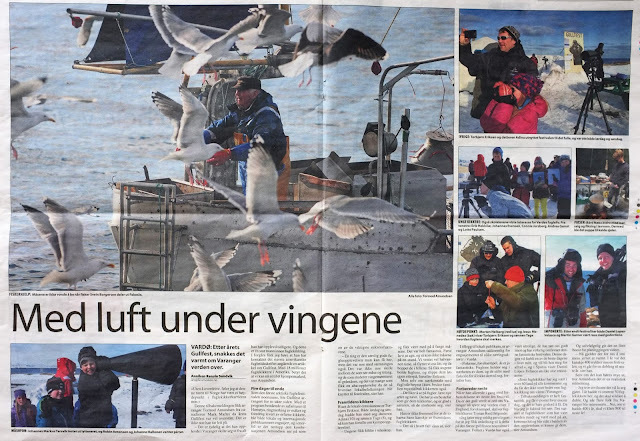 It has been and continues to be a great adventure being birding archtiects based in Varanger. 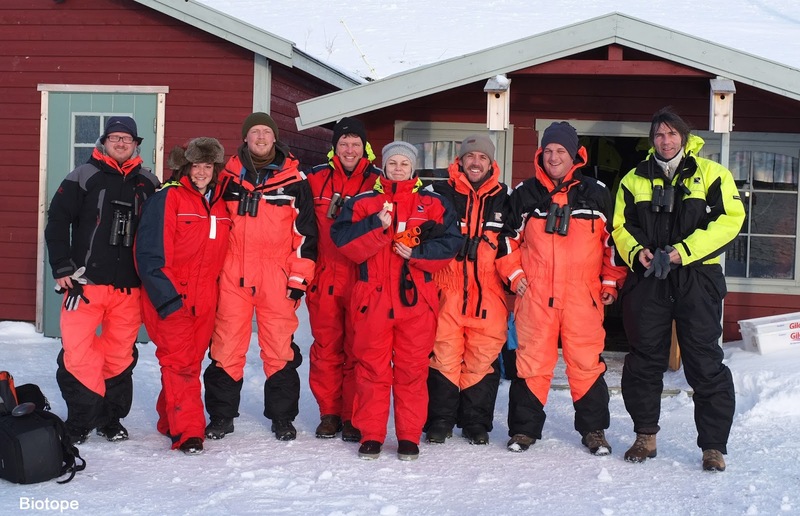 Arctic birding. A small family business with a plan to make a difference. 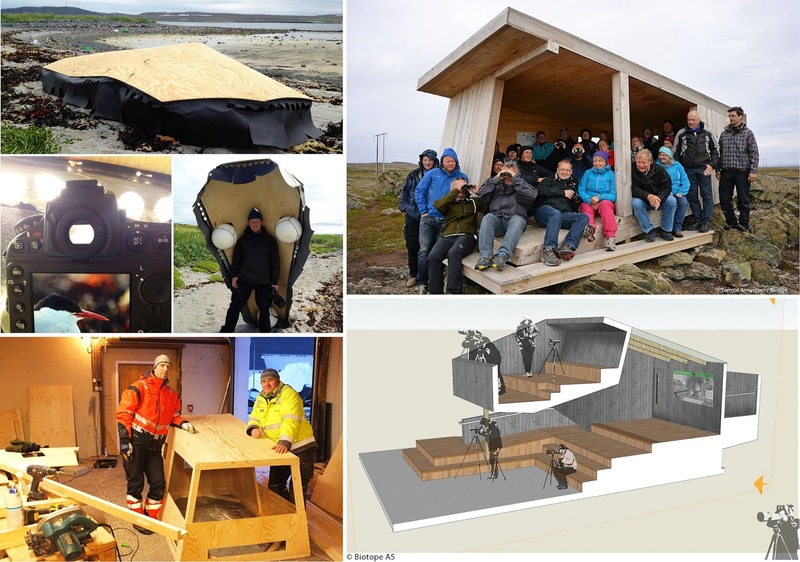 Being a birding architect is much more then just designing buildings, it is about enganging with people! Making new things happen is a great reward. The world of birding have such a wide range of amazing people and things happening. The Birdfair itself is proof of a community of both magnitude and variety. We have bird art, bird festivals, bird sound recordists, bird science, bird identification specialists, bird tour companies, bird conservation, and so much more. We wanted to contribute to the world of birding by means of architecture. To do so we had to prove our value, by engaging with both the international birding community and by making a solid difference where we live. Join the Pushing the Boundaries Talk and hear about this story. Birding architecture in progress, from stealth type bird photo hides, to wind shelters to combined bird towers and outdoor amphi-theaters. We design, protoype, build and make it happen. 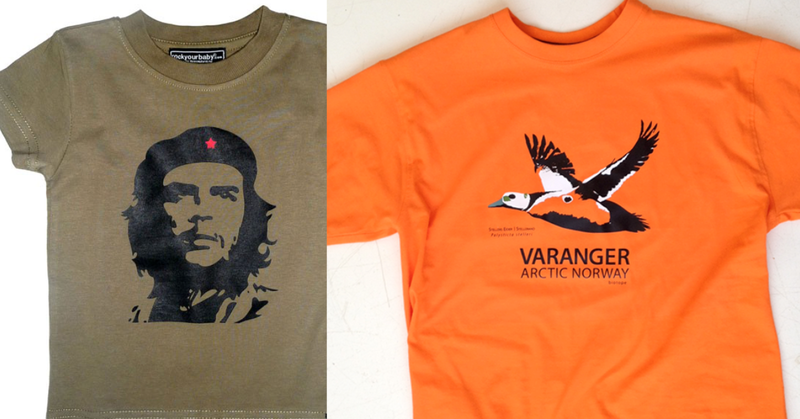 A lot of people see Che Guevera as a change maker worthy of iconic status, and of course mass spreading on T-shirts. 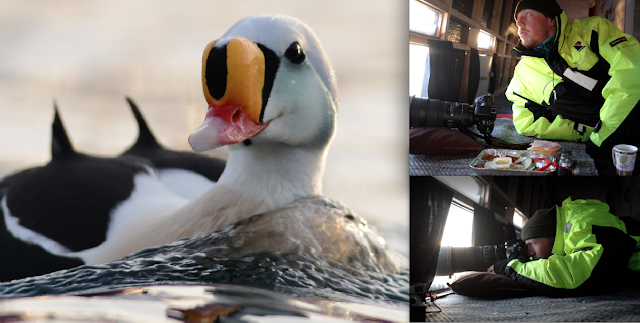 We aim to make the über cool Steller´s Eider the Che Guevara of Varanger. 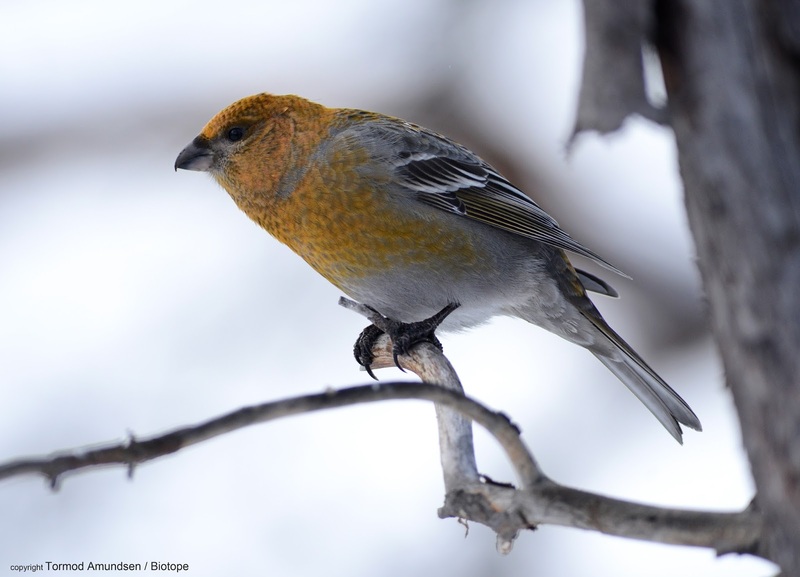 Pro nature revolution by birding! Bird street art: For that little arctic birding revolution we needed more birders, and being impatient, we just started making them. 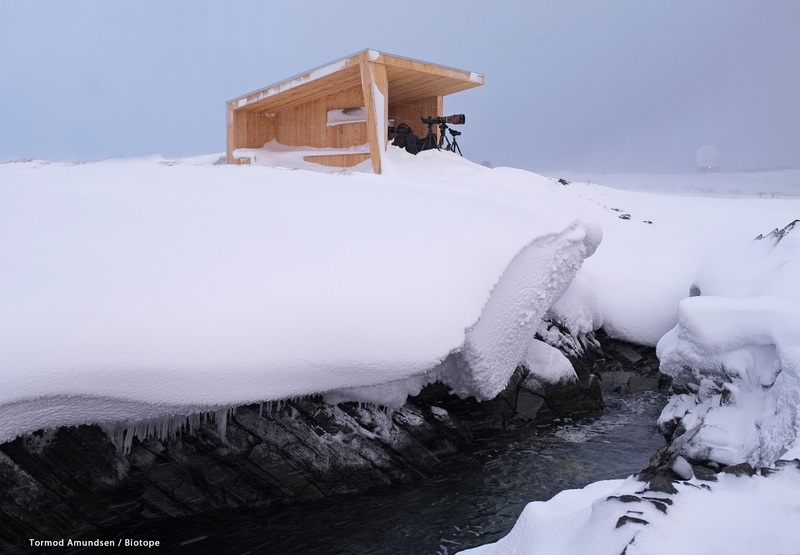 So how do you go about becoming a birder architect? Well you start by convincing your architect girlfriend that birding really is very normal and even a very cool thing. 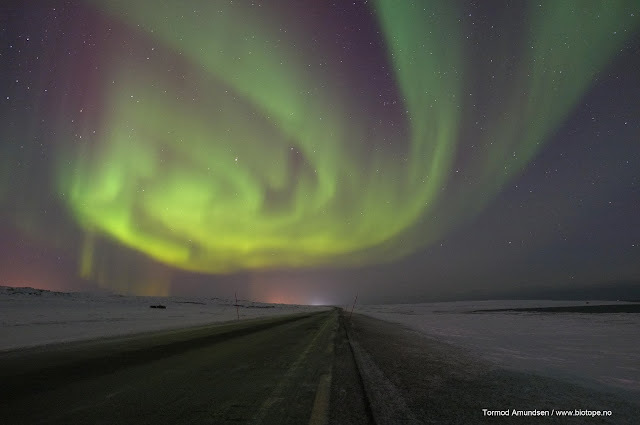 In 2006, having just met Elin at the architect school, we just had to go somewhere exiting, to prove that not only was birding a big thing but also worth our focus as architects. Remembering how the Isles of Scilly seemed to feature in almost every page of the 1990s classic ´Rare Birds´ guide book, I figured there could be not better place to go! We spent 3 weeks in October 2007 on Scilly. A superb experience, and this is where we hatched our plans to become birder architects! 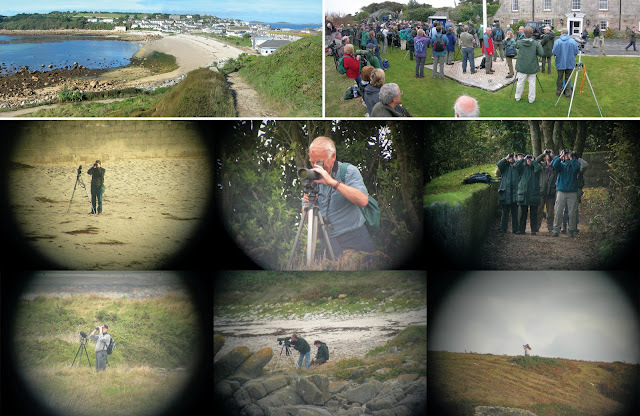 Scilly birding: We spent a lot of time birding, and we where both amazed by the number of birders around. Like phylloscopus warblers they popped out behind every bush on the island. 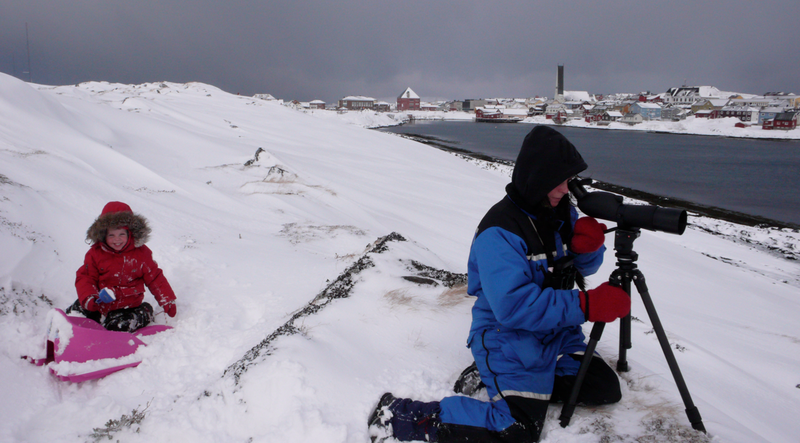 Walkie talkies was sparkling all over the place and the ´huit´ calls was always the latest bird info passing around. We even found ourselves a very cool Blackpoll Warbler, and we were both a little overwhelmed by the scenes of heavy local birder migration the following hour at the Lower Moors on Scilly. Check out the short video clip we took of birders rushing in to see ´our´ Blackpoll Warbler (a low res video, but pretty cool still). I think about 300+ people arrived within 20 minutes. A long story short: The Isles of Scilly proved to be a potent experience. We met a lot of great people, saw some very cool birds and places and we both agreed that we should pursue a career as birder architects. Sorted. With that brief intro I am very glad to be able to invite all birders coming to the Birdfair to join mine and Martins talks at the Events marquee on Friday at 16.15 o´clock. We promise Martins inspirational stories from the frontiers in bird id and birding and my story of how birding can change a place. It will be some cool stories of birds and people aiming to make a difference. and of course some very cool birds! Grand thanks to all the good birders & bird clubs that hosted our talks in January and February, and thanks to the keen birders at RSPB for making this happen. Hope to see you all, and meet new friends, at the Birdfair this August! to be continued..